The sellers guide to auction success. Your terms. 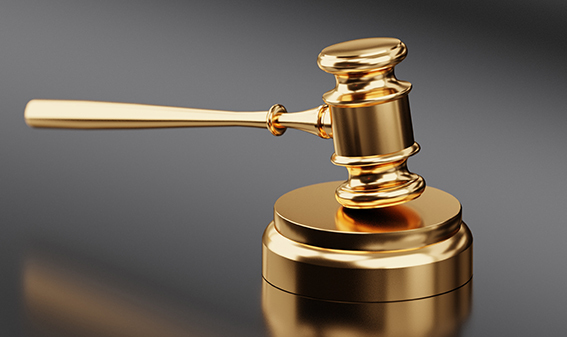 An auction means you set the terms and conditions of sale, mitigating the chances of any surprises at settlement. Cash-in-hand buyers. Marketing with no fixed price broadens the pool of cash-in-hand buyers who will look at your property. You have a ﬁxed, relatively short marketing period. In this time your Harcourts sales consultant can gauge the level of interest in your property and what prospective buyers might be prepared to pay. Compels decision-making. The auction itself generates a sense of urgency and competition, which brings buyers to a decision. Your sales consultant should walk you through a detailed marketing plan from the images that’ll be selected and advertised, the copy that will be included, and the schedule of open homes, to where the property will be advertised. You should have daily updates from your consultant and a face-to-face meeting once a week, to make sure you’re up to date. They should also provide you with a written report on the marketing campaign and interest from prospective buyers. Talk to your sales consultant about what is happening in the market, specifically around your area and with properties similar to yours. Use that market information, and feedback from prospective buyers to set a realistic reserve price. Be clear about your best price, which is the figure you’d be very happy to accept. But also have in mind your “OK” price and your “accepted price” – which is the figure you wouldn’t be thrilled with but given market conditions you’d be prepared to accept. At all times during an auction, you’re in control as the seller. If a bid is high enough take it. If not, don’t. REMEMBER: The reason for not taking an offer needs to be greater than the reason the home is on the market in the first place. Auctioning your property is about so much more than simply showing up on auction day. There’s a lot that goes into it before-hand to ensure you achieve the best result possible for your property. Marketing your property well is chief among the things you’ll need to do. Your agent should walk you through your marketing plan in detail, from the images that’ll be selected and advertised, the copy that will be included, to where the property will be advertised (online, papers, brochures, in office). Before you go to auction, you should expect to hear from your agent on a daily basis and a face-to-face meeting around once a week. Ideally, you’d receive a written report which summarises all of these activities as well as the interest in your property. Your agent should also be keeping you well-informed of the market, so that you can make the best decision come auction day. Ahead of the auction your auctioneer should meet with you as the vendor in person to make sure they have a thorough understanding of the property, and your reserve price. Harcourts NZ has an incredibly strong auction culture, with our team of auctioneers often dominating the finals and winners’ podiums of national and international auction competitions. Your auctioneer will also want to know all about the interest the property has received. They’ll ask your real estate agent detailed questions about it. How many inspections have there been? What kind of interest has the home received? Have any valuations been done? Any building/pest inspections? Does the buildings age suggest a dampness or infra red test for water damage be conducted? Is the property fibre ready? When it comes to marketing your property before auction, the rule seems to be more is more. The success of your auction can be largely dependent on your marketing campaign. The latest research from Harcourts, showed a direct correlation between the amount spent on marketing versus how much interest was generated for a property, and what price it sold for. On average, properties that sold in the shortest timeframe invested a further $1,913 in marketing than those that did not see a sale in the 45 day period. Our Harcourts Promise and written marketing plans ensure a smooth marketing campaign and that you receive feedback on what prices buyers are indicating they are willing to pay for your property. Your ok price – The ﬁgure you’d be ok with based on the feedback you’ve received, you don’t see a win but you don’t see a loss. Your grumpy price – This last figure is basically the one you wouldn’t be thrilled with, but given market conditions, you’re prepared to unhappily sell at that price. Remember, at all times during an auction, you’re in control. If a bid is high enough take it. If not, don’t. But the reason for not taking the offer needs to be greater than the reason the home is on the market in the ﬁrst place.